Ian is one of DSQ’s Project Managers, with significant experience in geodetic, cadastral, engineering and hydrographic surveying. 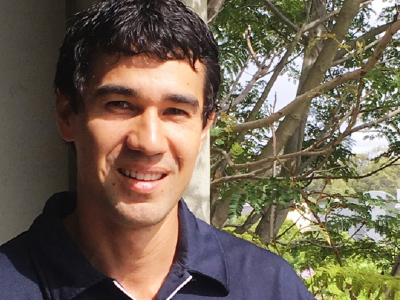 Ian graduated from QUT in 2001 having completed a Bachelor of Surveying with Honours. He gained accreditation as a Surveying Graduate with Surveyors Board of Queensland in 2001. Ian then completed a Master of Project Management at QUT in 2009. Ian has worked in Brisbane and the United Kingdom, before returning to the Sunshine Coast in 2009 to work in private practice Surveying firms. Ian has overseen various large scale projects in land development, high-rise building construction, civil construction, infrastructure and pipelines throughout Queensland. Ian is DSQ’s expert in land development processes, including land subdivision, residential apartments, commercial and industrial development, mixed use and community title developments. Ian assists with the management and compliance of land development, to achieve survey plan sealing and registration. Ian is a Project Manager in our South East Queensland operations, and maintains a close involvement in land development, engineering and infrastructure projects for DSQ.